We are in the anniversary of the fire bombing, another year has gone by without an apology from the British government. Britain had suffered the blitz and it had not broken our spirit, there was no sane reason to believe that destroying German cities would break the German's spirit. But even if it had, there was no reason to believe that the broken spirits of German women, children, old people, would change Hitler's mind. There were no soldiers in Dresden. It was full of the civilians who lived there, and civilians who were sheltering there as refugees. Even if firebombing cities had been been a successful tactic, it would be an end that the means just do not justify. According to the leaders we have had in recent years, targeting civilians can never be justified... it is terrorism. It has been described as cowardly and 'evil'. It would be healthy for Britain to acknowledge our hypocrisy and to issue a formal apology. I wasn't alive at the time. My relatives had no part in this, they had no say in this, I bare not guilt or blame. But I am British and so this was done in my name. 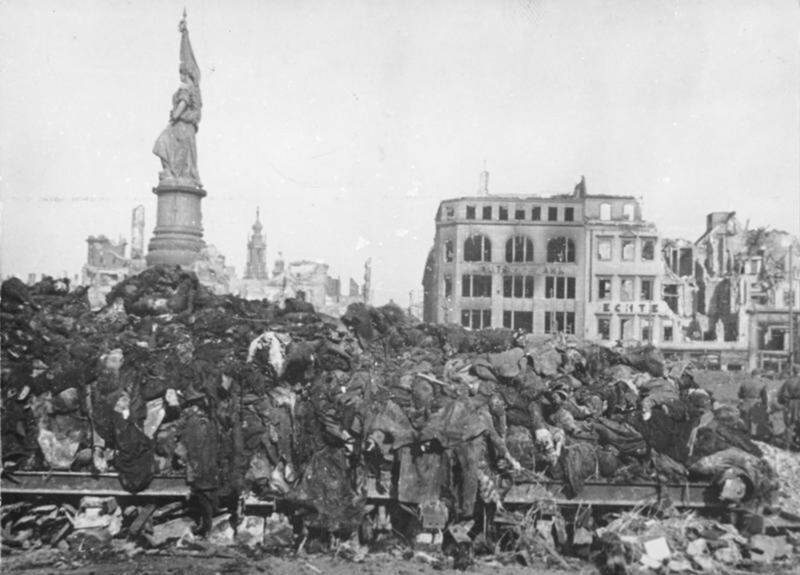 I think the British people are owed an apology along with the people of Dresden.